As you can see I've just applied the design update to the forum. However there is a good amount of adjustments that I need to make before everything will look perfect. Please bear with me while I make these adjustments throughout the rest of the day and into tomorrow. The design update on http://chowchow.org/ has been completed for the first phase. Looks like I've got most of the new design issues ironed out on the forum. I've bumped up the font size to improve readability and overall user experience. It looks great on the iPad! If you are experiencing any issues, make sure you reload. If there are still problems then please post them here. When you post, please include your browser and platform, if possible include a screen grab. Also, I'm going to be increasing the avatar size to allow larger images. I'll determine the new size tomorrow and let you know. I hope you enjoy the facelift! Update on the new avatar size, it can now be 150x150 pixels square and a maximum of 30kb in file size, and in JPG, PNG, or GIF file formats. You can see the new size with my new avatar image. Looks great! Thank you! I already saw Loo and "the boys". Thanks. 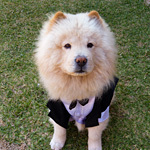 I have uploaded 4 new avatar directories of the Chow Chow photos that I have for a total of 318 photos at the new 150x150 avatar size. 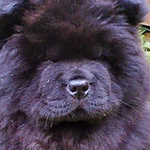 The directories are Members Chow Chows 01, 02, 03, 04 (Large). Enjoy! 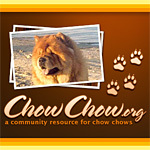 Great job and its nice to see some of the chows I recognize too..
You submitted photos too, didn't you? Then you can go look for your own supersized avatars! Love the change, looks awesome in my ipod touch And of course love the new size of the avatar, great job! Thank you, I'm glad that you like it. I too think it is a big improvement. 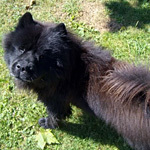 I'll be adding more general avatar images today (mostly from my own amateur photos), however if you don't find your own Chow Chow in the new avatar directories then post them in the Avatar Submissions forum with the new larger size (150x150 pixels or larger, I can scale and crop them down if needed) and I'll get them added in the new larger size. Over the next week I'll be activating some of the new features including the groups, events, member profile pages, and activity stream. I was surprised to see the bigger font, thought it was my settings at first...then I opened this thread first. Glad I did! My old eyes likes the larger font. Thank you for the fresh new look Terry! An update on the new features. I've run into the technical and security issues in getting the user accounts to work correctly. I'm waiting on the plugin developer to provide an update, hopefully they will get it out in the next week or so here. In the mean time I'm looking for some other solutions that might work. Once I get closer to having it work right I'll let you know and hopefully enable it so you can use it.